I wish I had read this book 10 years ago. 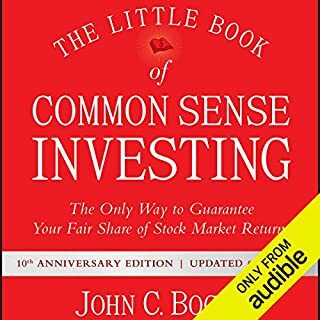 This book has changed by perspective on long-term investing and while I still enjoy "trading" I realize that long term steady gains require a simple buy and hold philosophy - and is probably my best strategy for Retirement fund. Picking individual stocks to do this with is not easy (i.e. GE). So the concept of buying the "Market" makes sense, and at the same time avoiding high fees associated with Mutual Funds is a no-brainer. RIP John C. Bogle and Thank you.